Pocono Whitewater is perfect for all ages whether you’re looking to make new memories with your family or rage through the Class III rapids of the Lehigh Gorge! The Lehigh River has the best whitewater in the Tri-State Area! In the Lehigh Gorge State Park you’ll be met with Class II & III rapids, making for an awesome time. 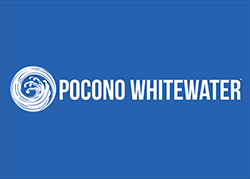 Pocono Whitewater will personally accompany you on the Lehigh River. You’ll laugh, scream, and have the best time! We offer Family-Style Whitewater Rafting on a calmer section of the river. You’ll have a fun and relaxing day while soaking up the sun and soaking your friends’ boats! Enjoy a free riverside BBQ daily Memorial Day through Labor Day and come back to the rafting center to a roaring bonfire! Call 1-800-WHITEWATER (944-8392) today and we’ll personally help you plan your outdoor adventure vacation!